Trust G. Greenwald Carpentry and General Contractor, in Union, New Jersey, and our 40 years of experience, as your general contractor. Let our carpentry and general contracting service work for you. We offer contracting service for: Residential and Commercial Applications. G. Greenwald Carpentry and General Contractor also offers a professional Handyman Service. Let our professionals caulk that bathtub, repair that hanging door, fix that fence, spackle those holes, repair your steps, we do those aggravating jobs you choose to not do yourself. Our service is affordable, efficient and reliable. Look for our seniors citizens discount on the special offers page. 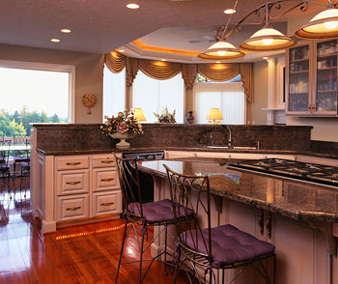 Add value to your home by replacing your old kitchen and bring it up to date with our modern designs. Remodel your kitchen or bathroom or add an addition to your home. We use licensed and insured master plumbers and electricians that have been working with our company for many years. You can have the new addition, deck, framing, window, door, porch, or enclosure you have been wanting. Ask about our general home and office repairs! Are you in need of emergency services? We can handle storm and flood damage, repair break-ins, and tackle fire or tree damage. Call on us for service to foundations, grading, trenching, masonry, pavers and stone walls. Contact us, in Union, New Jersey, to trust 40 years of experience as your general contractor.